Today is the big day! Get as much as up to Php 5,500 discount when you purchase an OPPO smartphone at the OPPO’s flagship store in LazMall today. 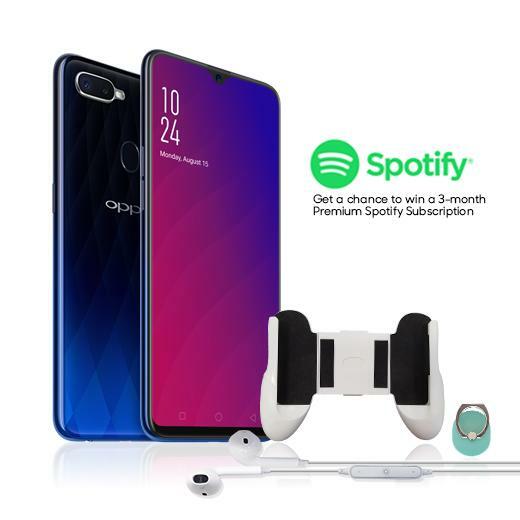 OPPO Philippines turns the spotlight on its recently launched mid-range smartphone highlighted by its VOOC Flash Charge technology, waterdrop screen, 6GB of RAM, and dual rear camera, now available for only Php 17,990 with Php 1,500 worth of freebies. The OPPO F3 Plus which sports dual front cameras on the other hand can be bought for only Php 12,490 – that’s Php 5,500 discount from its original price. Its younger sibling, the OPPO F3 likewise enjoys a price slash of Php 2,000 and is on sale for only Php 9,990. Last but not the least, consumers who opt for more power can get the OPPO F5 with 6GB RAM and 64GB ROM for only Php 14,999. Remember, this offer is good just for today! Visit http://bit.ly/OPPOLazMall for more. Get the Cherry Mobile Explorer 2 Action Cam for only Php 3,299 at Shopee’s 9.9 Super Shopping Day!